North and South Carolina remain among the 10 most “moved-to” states in the nation during 2018, ranking #8 for North Carolina and #6 for South Carolina according to United Van Lines’ 42nd Annual National Movers Study. Charlotte, North Carolina is a major beneficiary of this migration. Why fight the shopping crowds at the mall on Black Friday and during December? 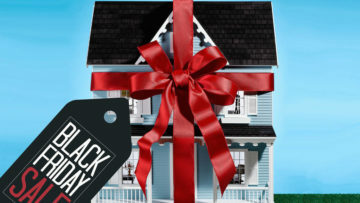 If you’ve been dreaming about a new home in time for the holidays, this weekend and December could be the perfect time to buy a home, “score” a deal, and lock in a low interest rate.